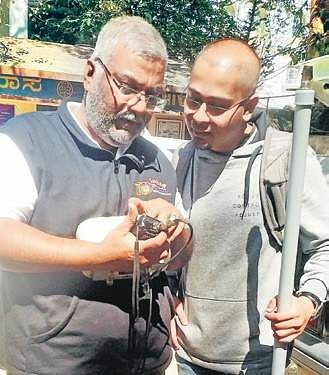 BENGALURU: Around 100 Radio Amateurs or Hams based out of Bengaluru celebrated as the city’s oldest amateur radio club — the Bangalore Amateur Radio Club (BARC) turned 60 on Sunday. Karnataka High Court judge Justice HB Prabhakara Sastry, a Ham, on the occasion felicitated two men who went to Cuddalore Collectorate to extend their services during the recent cyclone Gaja in neighbouring Tamil Nadu. Luckily, the cyclone took a different direction and primary communication did not fail completely in the district. Girish Gopal and Dr Madhukar G, other Hams present at the gathering, said that even during the Kodagu floods Hams were available on standby. MR Sampath Kumaran, the founder member of BARC, is the oldest Ham in the city. “Cellphone mania has become a hindrance to Ham,” he said. Upagraha Amateur Radio Club has decided to write to ISRO Chief K Sivan to include Ham radio training or amateur radio training in the training module of the three astronauts who will board the Gaganyaan in December 2021. “While astronauts Rakesh Sharma and Ravish Malhotra did not have Ham training or call signs, Indian American astronauts like Kalpana Chawla and Sunita Williams had American call signs,” said BA Subramani, station director and secretary, Upagraha Amateur Radio Club, which was founded 38 years ago for ISRO employees.